The and are using GO SAILING to attract new sailors! 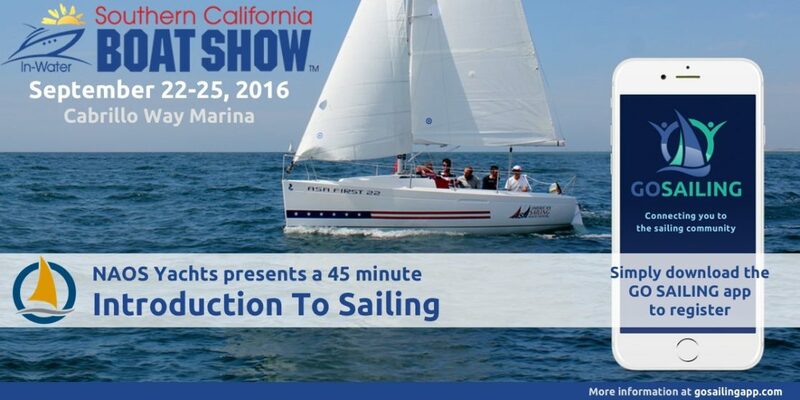 On September 22nd-25th at the Southern California Boat Show NAOS Yachts and GO SAILING will be running “Introduction To Sailing” classes taught by ASA instructors on the ASA First 22 Beneteau sailboat. & apply to be crew on one of our “Introduction To Sailing” classes.